How long will it take for my order to be delivered to me with standard shipping? How do I return/exchange an item and what is your return/exchange policy? How do I determine my phone model? How do I determine my iPad/iPhone model? What is the difference between an OEM (Original Equipment Manufacturer) product vs. After Market? Do I need to condition my battery? I've heard that it helps to let it drain all the way down before charging it again. How long do batteries last before they need to be replaced? Can I do anything to prolong their lifespan? How do I choose the right Portable Power solution for my needs? Explain the difference between a complete hands free kit, a portable kit and a headset. If I order a car kit do I need any additional parts? Do you install car kits? What types of cases do you offer and how do they differ? I received a pouch case that is made by a different manufacturer than my phone. 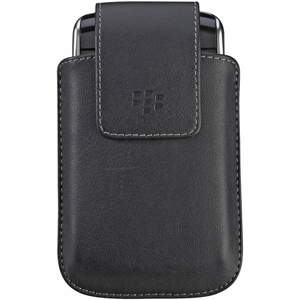 For example, a BlackBerry case for my iPhone. Is this a mistake? What does MFi Certified mean? What is the difference between microUSB 3.0 and standard microUSB cables and ports? The connector on the charger I received for my HTC device looks slightly different than the plug on the phone. Is this normal? How fast is my charger? What size inverter should I use? How can I use my phone as a modem? How do I know if my phone needs an adapter for a specific headset? Do you offer handsfree devices for hearing aid users? What is Multipoint Technology on Bluetooth headsets? What is does it mean to pair a Bluetooth headset with a phone? If a headset can pair with multiple phones, how does that differ from Multipoint Technology? All in-stock items are shipped the same day. If your order is not available we will inform you of the delay. In most cases this will be within 1-2 days. To view the approximate length of time for your package to arrive via UPS Ground (our standard service) from Redondo Beach, California, click here. Our goal with returns is simple: to efficiently address your return or exchange. The following represents the policy and procedures for product returns to Cellular Accessories For Less. CAFL requires a Return Authorization Number for exchange or credit for a period of 30 days from original ship date for product(s) that are defective or unnecessary. Beyond 30 days from shipping, we will honor most manufacturers' 1-year factory warranty. All components (instruction booklets, cables, etc.) of original order MUST be returned for credit. Products and packaging should be free of blemishes, visible marks or damage. Please note that software cannot be returned once it has been opened. Please be sure to include a copy of your invoice or packing slip whenever shipping anything to CAFL. Customers shall pay freight for any return packages for repair or exchange. A credit for the in-bound shipping will be applied to your account when applicable. If a product is being returned after the 30-day period, the customer is responsible for all shipping charges. Products erroneously shipped by CAFL may be returned with no shipping fees incurred. A request for a Return Authorization Number must be made through CAFL. A restocking fee of 25% will be applied for items returned beyond the 30 day (up to 60 days maximum). There are no returns after 60 days. The RA number provided by CAFL must be provided within and outside the container. Please contact CAFL with any questions or concerns regarding your return and/or exchange. We will attempt to make arrangements for your unique needs. As a service to our customers, we act as a warranty center for many major manufacturers. We can assist you in getting manufacturers' warranty and repair assistance when needed. Cellular Phone Returns & Repairs: Defective phones will be replaced within 30 days of sale or if there are less than 30 lifetime minutes on the phone, whichever comes first. Damaged phones will be sent for repair, where fees may incur. Phones are subject to manufacturers warranty. We appreciate your understanding that with Special Orders (products we do not normally stock and have to order specifically for that order), all sales are final. Cellular Accessories For Less is committed to your privacy. We do not and will not sell, loan, or disburse your personal information. Any information you provide is solely used to process and fulfill your order. Cellular Accessories For Less does not share your information with any third parties and is committed to protecting your rights as a consumer; we respect and protect your privacy. Our site is a safe environment for anyone to visit and shop. We have developed this statement to demonstrate our firm commitment to your privacy and security. We are also committed to providing you outstanding customer service and the best available products. Information is collected for the sole purpose of making Cellular Accessories For Less and Cellularforless.com a better place to shop online. LOOK ON THE BACK OF THE PHONE - Remove the battery from the back of your phone. The phone model number and manufacturer - Nokia, Ericsson, etc. - should be displayed on the back of the phone. FIND THE PHONE BY ACCESSORY - If you cannot find your model type on the back of the phone, you can try searching by the part number on one of your accessories, such as a battery or charger. Our website will display all phones compatible with that part - one of them will be yours. FIND PHONE BY PICTURE - Choose the manufacturer of your phone on the left column. Underneath the pull-down menu click on the option to view all phones by picture. If you do not see your phone listed, please contact us at sales@cellularforless.com and we will be glad to assist you. Click on headset picture to view compatibility. If you are still unsure, contact us. How can I determine my iPad/iPhone model? What is the difference between an OEM (Original Equipment Manufacturer) product vs. an after market one? After market products are high quality, economical alternatives to those made by the original manufacturer. After market products have excellent warranties and offer creative options sometimes not offered by the manufacturer. 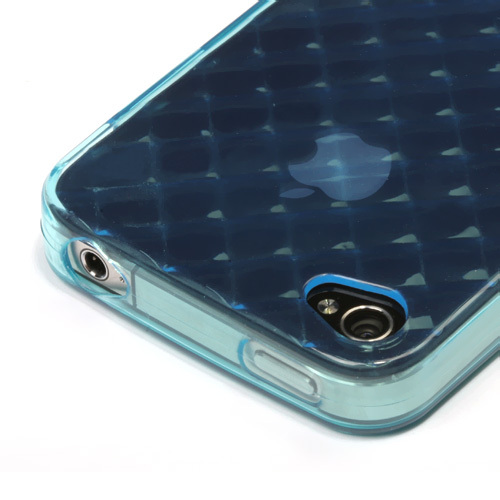 Our goal is to offer the best quality cases available for your device, regardless of who makes it. 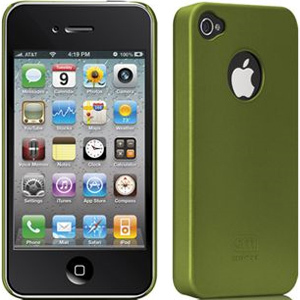 There are hundreds of case manufacturers in the industry (Case-Mate, Incipio, BlackBerry, Samsung, etc.) so you will see a wide variety listed for your phone model. If we only offered Apple cases for Apple phones, the selection would be very limited. Please rest assured - if our website says a case is compatible with your phone, it has been tested and will fit perfectly. To allow you to use a case/skin combination, please contact us to ensure 100% compatibility. While we aim to label your options on the site, we can provide assistance when ever it is not 100% clear. Some Apple iPhone 4 cases/skins can restrict access to the charger port, please contact us at 310-220-2250 for complete compatibility. Fitted Cases: Designed to stay on your phone at all times with openings for the buttons, ports, etc. so it's fully functional while in the case. Usually made of leather with a spring or swivel belt clip. 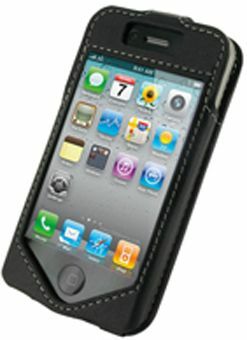 Pouch Cases: Pouches allow you to take the phone out of the case to use it and put it back in to protect / carry it. These are nice if you like to use your phone without any extra bulk and if you're using accessories that require a naked device like a desktop charger or car kit cradle. Pouches usually have spring belt clips. 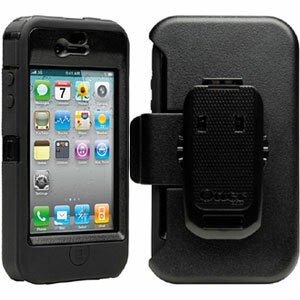 Snap-On Phone Shields: A thin protective cover made of plastic or polycarbonate (flexible plastic). These keep your phone streamlined and come in many colors and designs for a personalized look. No belt clip. 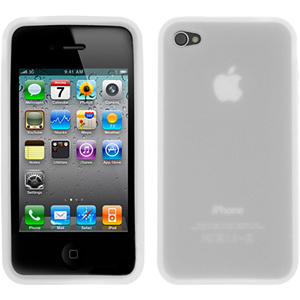 Silicone Skin Cases / Bumpers: A thin protective cover made soft rubber so your phone is easier to grip. Available in many colors and designs. No belt clip. TPU Flex Gel Cases: The latest trend in cell phone covers, these are a thicker, firmer version of a silicon skin case for more shock protection. The flexible gel-like material has a tacky texture like a skin for better grip. Many colors and designs available. No belt clip. Heavy Duty / Rugged Cases: Provides the most protection but consequently adds some bulk to your device. This is the best solution when using your phone in rugged environments where you might drop or damage it. Usually features a durable plastic casing and heavy duty belt clip. Many phones offer a data cable and software that will allow you to connect your phone to your computer so you can transfer data. Some phones allow you to transfer data via Bluetooth wireless technology or infrared parts. If you have any confusion on this topic, please contact us and we will be happy to assist you. Many phones are capable of acting as an external dial-out modem by using a data cable, software, bluetooth or infrared. For more information on this please contact us. Nearly all recent cell phone batteries (since approximately 2003) do not need to be conditioning due to advances in technology. Older batteries made of Nickel Cadmium (NiCd) and Nickel Metal Hydride (NiMH) often had a "memory effect" so it was helpful to completely deplete them before recharging. Modern cell phone batteries are made of Lithium Ion or Lithium Polymer and it is actually better to keep them fully charged as much as possible. 1) Avoid running the battery all the way down. Most Lithium Ion batteries will last between 300 and 500 charges, but if you let the battery run down too much before charging, that can hurt its lifespan. It's better to keep it fully charged as much as possible. So, if you’re at home and near the phone’s charger, plug it in! With Lithium Ion batteries, you cannot overcharge ... There’s still a lot of confusion about that, from the days when nickel-based batteries were used in phones and had to be fully discharged once in a while to condition the battery. 2) Heat – especially in the car — is not your battery’s friend. It affects the battery's storage capacity and is one of the elements that shortens lifespan the most, so don't leave your cell phone on the dash or in the glove box on warm days. 3) To conserve battery power, you can turn off the Bluetooth, GPS, Wi-Fi and 3G radios in your phone when you’re not using them, and dim the backlight on the phone’s screen. 4) Turn off “push e-mail,” that is delivered to you as it is sent, and instead manually check for new e-mail. The more frequently e-mail or other data is fetched, the faster your battery will drain. 5) And here’s one for frequent fliers... When you get further and further away from a cell tower, the harder your phone tries to find a signal and thus, the more battery power it uses. When you’re 30,000 feet in the air, you can’t get a signal because all the ground-based towers are out of range. Turning your cell phone off when you're in the air will do wonders for conserving battery life. While these steps can help you prolong the lifespan of your battery, we all have to determine if the ends justify the means. Portable Power products are designed to keep your smartphone and other devices charged and connected wherever you are. Identify the phone or device you need to charge on the go: We offer solutions that provide a quick charge for one device, and solutions that are compatible with any device that has a USB Cable. If you only require a charge for your phone, use an Apple-specific or micro-USB specific product. If you are looking for a universal solution that you can use to charge more devices, including tablets, use a portable solution that features USB ports. Identify how long your device needs portable power: The battery capacity for most smartphones is about 1500mAh. A portable power solution with a capacity of 1500 mAh will provide about one additional battery cycle for your phone. To be sure, check the capacity of your phone’s battery on your phone’s accessory page. The higher the mAh, the larger the power capacity of the solution, and the longer you will be able to use your phone or device. Consider the size of the portable power solution: Smaller devices like the Naztech or Lenmar portable batteries are perfect for a quick charge on the go, and can slide easily into a purse or pocket. The universal solutions are larger (to accommodate larger battery capacity) and are ideal for long journeys and charging multiple devices. Headsets are the most popular way to use your phone hands-free. There are three different styles to choose from: 1) a small ear bud that fits into your ear with a microphone on the cord, 2) an earpiece that fits over your ear with a boom microphone, or 3) an over-the-head headset with a boom microphone. Car kits are either portable or installed. Portable: The single unit hands-free kit includes the speaker and microphone. It plugs into your vehicle's cigarette lighter port. Not only will you have hands-free talking, but your phone will also be charging. These kits are easily transferable from car to car. Installed: Complete hands-free kits require professional installation into your car. These kits include a phone cradle, speaker, external microphone and all necessary wiring. The kit is connected to an external antenna (sold separately), which provides enhanced reception. Some kits have the option for a privacy handset. You will need to order a mount and an antenna. The mount attaches the phone holder to a convenient location in your vehicle. The antenna is placed on the outside of the car and provides enhanced reception. You will be prompted to order both during the checkout phase of your online transaction. If you have any questions about this, please contact us. We can arrange an installation in the greater Los Angeles area for approximately $100. Multipoint Technology allows you to connect a Bluetooth headset to multiple devices simultaneously. This is beneficial if (for example) you have a business phone and personal phone and want to use the same headset for both. What does it mean to pair a Bluetooth headset with a phone? If a headset can pair with multiple phones, how does that differ from Multipoint Technology? All Bluetooth headsets must be paired with a phone before it will work. This process allows both devices to recognize each other and gives them the ability to connect. In order to actually use the headset, it must be connected to the phone. This will usually happen automatically when both devices are turned on and within 33 feet of each other. Many Bluetooth headsets can be paired with multiple phones but only connected to one at a time. The headset will automatically connect to this first paired phone that comes within range and remain connected until it is out of range or one of the devices is turned off. Some headsets have Multipoint Technology that allows them to connect to multiple phones simultaneously. Bluetooth is an evolving wireless technology and there have been several improvements on its effectiveness. Different versions reflect ongoing technological improvements that typically relate to efficiency, signal quality and usability. For cell phones, different Bluetooth versions do not change device compatibility. Extended inquiry response: provides more information during the inquiry procedure to allow better filtering of devices before connection. This information includes the name of the device, a list of services the device supports, plus other information like the time of day and pairing information. Sniff subrating: reduces the power consumption when devices are in the sniff low-power mode, especially on links with asymmetric data flows. Near Field Communication (NFC) cooperation: automatic creation of secure Bluetooth connections when NFC radio interface is also available. This functionality is part of the Secure Simple Pairing where NFC is one way of exchanging pairing information. For example, a headset should be paired with a Bluetooth 2.1 phone including NFC just by bringing the two devices close to each other (a few centimeters). Another example is automatic uploading of photos from a mobile phone or camera to a digital picture frame just by bringing the phone or camera close to the frame. We can special order the following Bluetooth neckloops that are compatible with telecoil-equipped hearing aids and any Bluetooth-enabled phone. They wirelessly transmit the audio from your phone directly to the hearing aid and a microphone picks up your voice and wirelessly transmits it to the phone, so no additional parts are required for handsfree conversations. Follow the links for more details. We also have a limited quantity of this GN Netcom corded model. You may notice that many of the charging accessories we offer for Apple iPhone and iPad are marked “MFi Certified.” MFi stands for Made for iPhone or Made for iPad. This label means that the product has been engineered and certified to be compatible with Apple devices. Apple has created special compatibility requirements for manufacturers that they must meet in order to be granted the MFi or Apple Certified label. Unlike some after market products, MFi Apple Certified products are guaranteed to be compatible with all Apple Lightning devices and versions of iOS – past, present, and future. What is the difference between micro-USB 3.0 and standard microUSB cables? Micro-USB 3.0 is a new cable and connector/port style available for several new smartphones and tablets. Devices with micro-USB 3.0 ports are backwards compatible with regular micro-USB so you can still use the same cables and chargers. The micro-USB 3.0 ports are wider so it may be confusing at first, however the regular micro-USB connector will fit into the side of the port. Micro-USB 3.0 cables only function differently if you are using them with a computer that has a USB 3.0 port. Most computers still have USB 2.0 ports however if you have a new model with the USB 3.0 port, the micro-USB 3.0 cables will provide a faster charging speed (900mA instead of 500mA) and data transfer rate when you connect your smartphone or tablet. Please note: Micro-USB 3.0 does not affect the charging speed when plugged into a wall outlet or car DC port. Yes. HTC devices have an EXT USB charging port. The chargers you will receive have a mini-USB connector. They look slightly different (as illustrated below) however the mini-USB chargers will definitely work. The EXT USB connector is designed to work with both formats and HTC only offers mini-USB chargers. #1 is easily solved by getting the International Prong Adapter Kit. The adapters slide over US plugs so they will fit into international outlets. #2 is rarely an issue because nearly all travel chargers sold today have a 120V-240V voltage range so it will automatically adjust to the different outlets. You can confirm this by looking at the writing on the charger - it should say "120V-240V" or greater. Because most phones use different batteries, it isn't possible to quote the exact time it takes to recharge all models, but you can determine the relative speeds by comparing mA. If your existing 500 mA charger takes 3 hours to charge your phone, a 1000 mA charger will charge it twice as fast (1.5 hours). An inverter is a device that changes direct current (DC) into alternating current (AC). The size you choose will depend on the wattage of the appliance or tool you want to run (find the power consumption by referring to the specification plate on the appliance or tool). Example: You need to power a laptop and a phone charger. For this application you would need a 120-Watt inverter. The "continuous wattage" is the wattage the inverter can supply 24/7 as long as the DC input power supply is in good condition (usually, the DC power supply is a car battery). The "peak surge wattage" is the maximum wattage the inverter can supply for a very short period of time (a split second) in order to provide the initial "surge" required to start some devices.